Who’s in – and who’s out – for next year’s election. U.S. Representative Lamar Smith is one of several representatives who recently announced their retirement. Saturday marked the first day Texas candidates for next year’s elections could file for office. Who files and who doesn’t could change the shape of Texas politics for years to come. 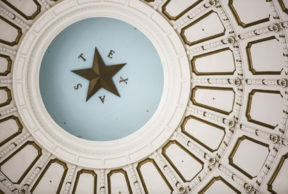 The Texas Tribune’s Patrick Svitek says that this time around, there are few major surprises. Meanwhile, there are a handful of seats that have recently opened up. One of which was Lamar Smith, who announced his retirement Nov. 2. But it remains to be seen if the Democrats will be able to put forward a viable gubernatorial candidate.